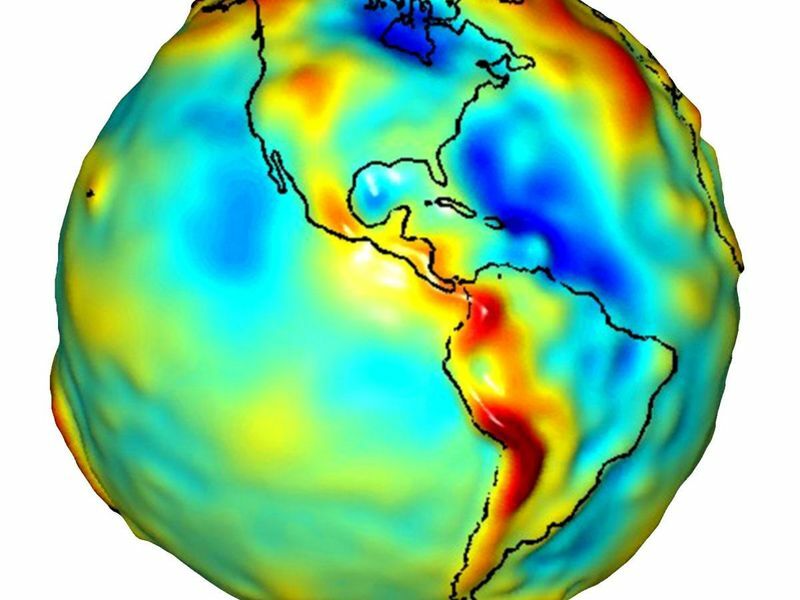 This visualization of a gravity model was created with data from NASA's Gravity Recovery and Climate Experiment (GRACE) and shows variations in the gravity field across the Americas. Gravity is determined by mass. 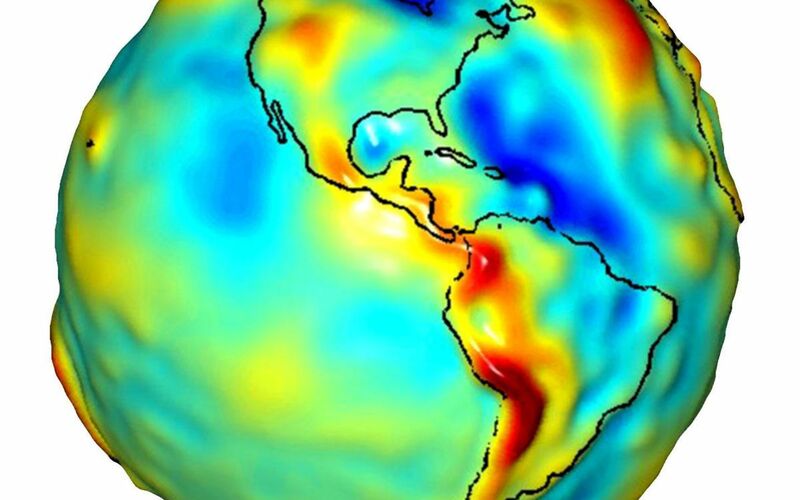 Earth's mass is not distributed equally, and it also changes over time. 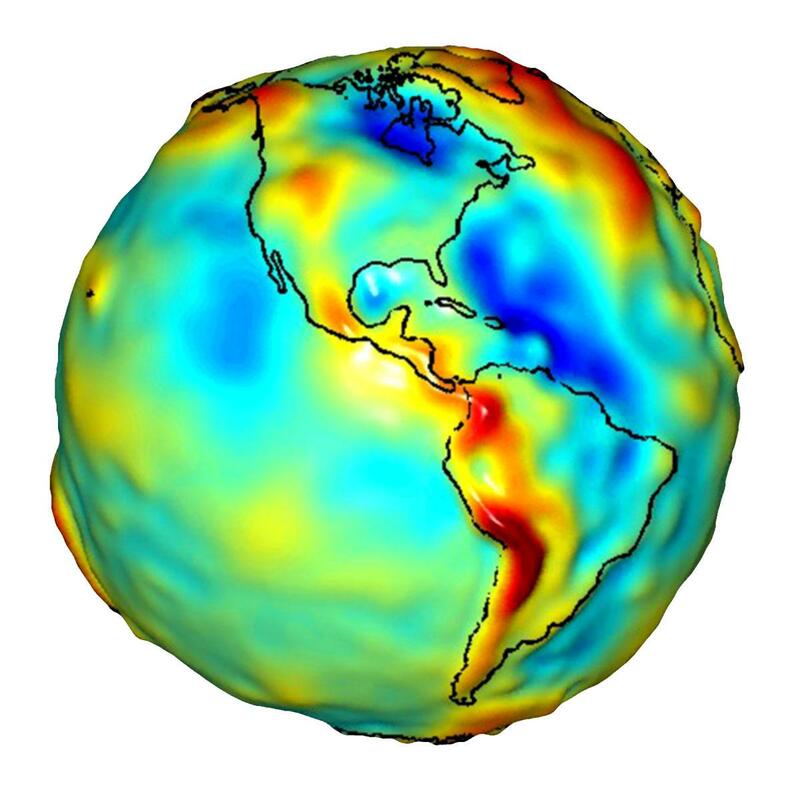 The colors in this image represent the gravity anomalies measured by GRACE. 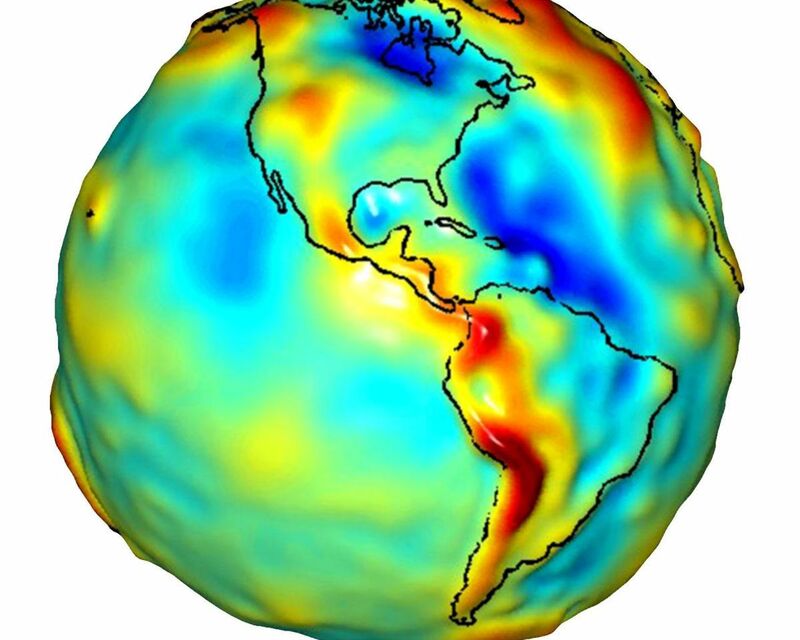 One can define standard gravity as the value of gravity for a perfectly smooth 'idealized' Earth, and the gravity 'anomaly' is a measure of how actual gravity deviates from this standard. Red shows the areas where gravity is stronger than the smooth, standard value and blue reveals areas where gravity is weaker. GRACE is a collaborative endeavor involving the Center for Space Research at the University of Texas, Austin; NASA's Jet Propulsion Laboratory, Pasadena, Calif.; the German Space Agency and the German Research Center for Geosciences, Potsdam. More information on the GRACE mission is online at http://www.csr.utexas.edu/grace/ and http://grace.jpl.nasa.gov/.